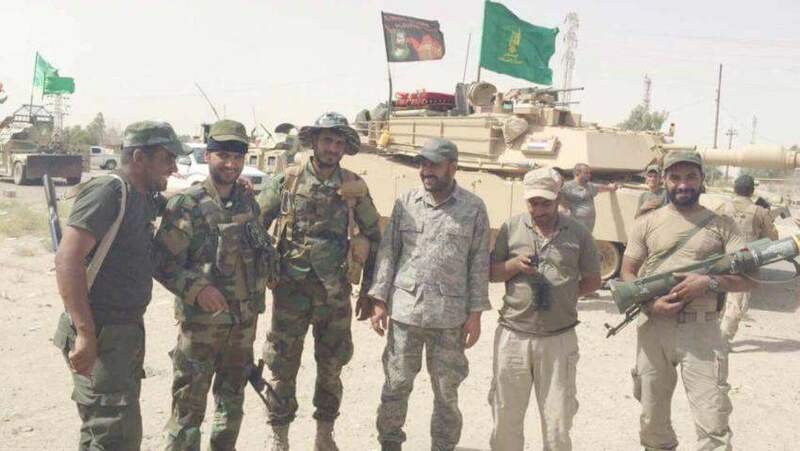 The guy on the right appears to be holding an SA-18 Grouse MANPAD; they’re bad news (but not the worst news) for ground attack aircraft or helicopters. 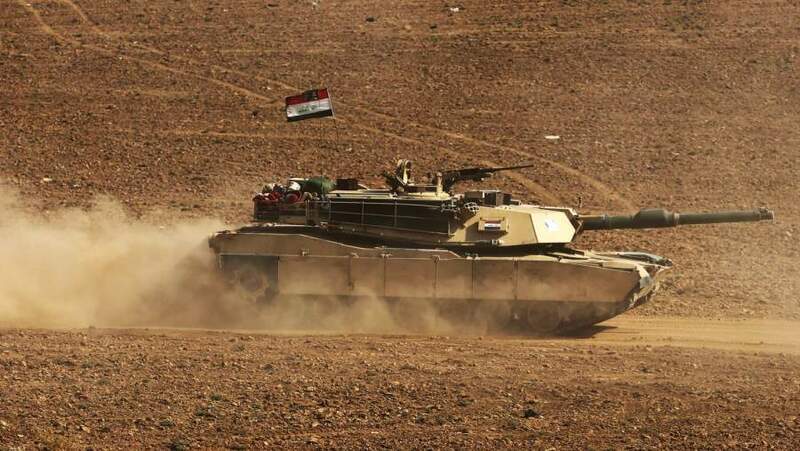 The US’ brilliant decision to involve itself in a ground war in Iraq has given Iran access to some fine American examples of high-tech tank building. Way to go, guys! USA! USA! As they say, “the optics on this are not good” which is exactly why Hezbollah is driving their new American gear around: it’s great propaganda. They’re probably going to keep it very carefully hidden because you can bet that intelligence and special forces are scouring the area to find them, and when they do, there will be a gigantic air-strike. Some F-22 pilot is going to have one of the most unusual ‘tank, target’ kills in Air Force history. It’s just awkwardness compounded by awkwardness. Actually, my money says that the US will let Israel handle it. I can hear a Monty Python sketch about propaganda, sort of along the lines of “The Knights Who Say ‘Ni’!” – “Oh, look at me amplifying Hezbollah propaganda!” “Fake news!” “Not it’s not!” “Oops, you did it again.” etc. And if you don’t adhere to our weapon systems’ EULA we’ll take you to court? Actually that would make a fun court case. Iraq would presumably be arguing that it’s not their fault that US equipment is in “enemy hands”*. Meanwhile the US would have to argue that they, the Iraqi army, are to blame for losing military gear. The US-supplied, US-trained soldiers did it. No matter the outcome Iraq would win. Either they’re not to blame or they’re incompetent and therefore entitled to a refund for those training courses, shifting the blame right back to the US. * quotes because I have no idea what that means or who it might refer to at any given time. There was a science fiction story I read once about a particular species that sold amazing weapons; they were the armourers to the galaxy and were incredibly rich, as a consequence. Naturally, some yob eventually had the bright idea of attacking the weapons-makers to shake them down. At which point, all the weapons stopped working. Oops. So awkward. And a state-department declared terrorist organization, to boot. Why would the Russians have to trade the Iranians anything at all? They can merely ask the Angry Cheeto who is, after all, their golden boy, and he’ll tell them. She said, bitterly. This is going to sound like I’m joking, but I’m not: so they could be sure. If the US gave them that information, they’d assume it was altered intentionally. So they’d want to map it against an actual working version. There is a story about a thing called The Farewell Dossier [cia] which may be disinformation, but the story goes that the USSR was trying to steal plans for the space shuttle and the CIA fed them bogused-up versions that would result in an unflyable vehicle. Ha ha ha. They also claim to have let them steal some chemical process control software that blew up a propane processing facility. Nice. Ha ha ha. During gulf war 1 I was talking to a then-friend who was a very senior spook. A US plane was shot down and it was all over CNN; I said “you guys hardly need to do all the spying, this stuff is all on the news.” He said “CNN thinks a plane was shot down. I know a plane was shot down.” Aaah, spooks! Putin didn’t necessarily think that Trump would act as his friend and ally in the White House. The purpose of backing him was to do damage to the US through Trump’s incompetence and derangement. Mission accomplished. Just as a note, Kataib Hezbollah the group mentioned in the article is not the same as Hezbollah in Lebanon though they both are Shia. I bet the Russians are going to trade the Iranians some really good stuff for the electronics in those tanks. They might but it’s not like it would be a big deal. The Russians have been either trying to flog or have flogged their T-90 main battle tank to Iran for some time. The Iranians are likely to gift-wrap a tank or two and courier them to Moscow with a polite “With our compliments” card. And that assumes the Syrian army has not picked up the occasional Abrams and already sent it off the main Russian tank testing facility. 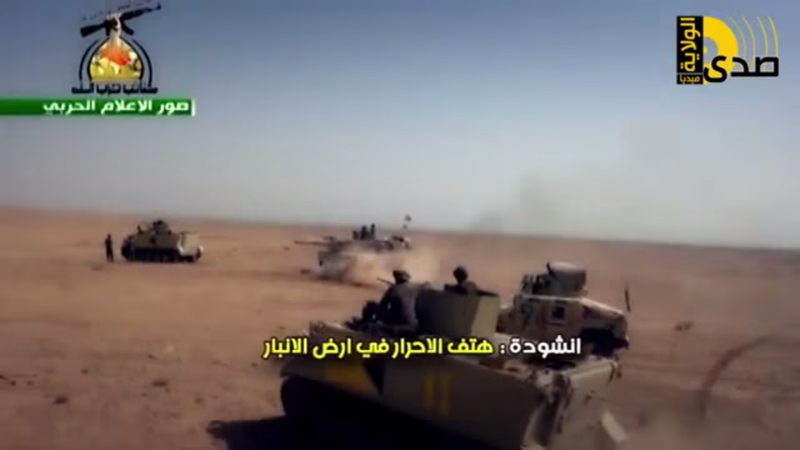 The Syrians are reported to have a few T-90s in the field so reciprocity seems nice. The purpose of backing him was to do damage to the US through Trump’s incompetence and derangement. While I still have not seen any credible evidence of official Russian interference in the US election, my guess is than the Russian Gov’t faced with two horrible alternatives would have preferred Trump since he did not seem as irrational and dangerous about Russia as Clinton. Experience since the election has shown than he is even more irrational and erratic but still not quite as crazy on the subject of Russia as Clinton seemed to be.